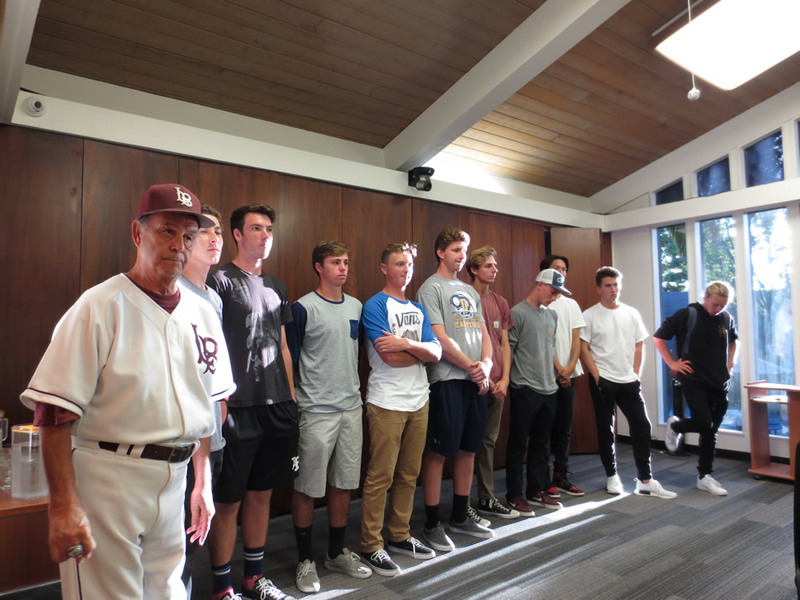 A portion of the Laguna Beach High School baseball and their coach earned the delayed applause of the school board at its meeting Sept. 13. The team won the school’s first ever CIF Southern Section Division 4 championship in June. Team assistant Skipper Carrillo, left, participates.